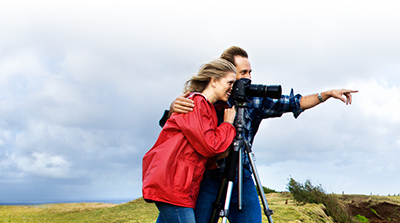 Watch all 24 episodes of "Fundamentals of Photography"
Watch all 24 episodes of "Fundamentals of Photography" and get unlimited access to thousands more videos on fascinating and useful topics – all part of your free trial! Photographs are more than just snapshots. When taken the right way, they become dramatic personal statements with the power to last forever. They can transport you to distant landscapes, capture fleeting emotions, recall cherished memories, reveal the beauty of daily life, and even change the world. National Geographic photographer Joel Sartore has crafted a course that will hone your photographer's eye so you can capture the greatest moments in nearly every situation and setting imaginable, from a field of flowers to a friend's birthday party to a grand mountain range. Taking you both inside the photographer's studio and out into the field, this course is a chance to learn, in a way anyone can grasp, the basic insights and hidden secrets of photography. 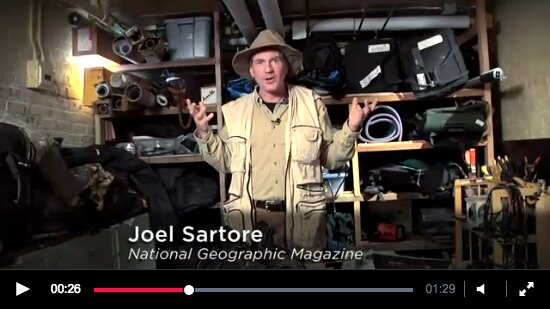 Joel Sartore is a professional photographer and a regular contributor to National Geographic magazine. His assignments have taken him to some of the world's most beautiful and challenging environments and have brought him face to face with a diversity of wildlife in all 50 U. S. states and all seven continents. He was recently named a National Geographic Fellow for his work on The Photo Ark, a multiyear project to document the world's biodiversity in studio portraits (see www.joelsartore.com and photoark.com). His photograph of a lion in a tree was voted the best picture by National Geographic magazine in 2011, and also won him a 2012 Veolia Environment award for wildlife photography. 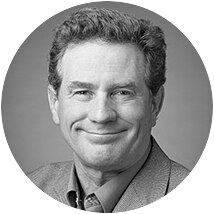 In addition to his work for National Geographic, Mr. Sartore has contributed to some of the most prestigious and widely read publications, including Audubon Magazine, Time, Life, Newsweek, and Sports Illustrated. Mr. Sartore and his work have been the subject of national broadcasts such as National Geographic Explorer, NBC Nightly News, NPR's Weekend Edition, and an hour-long PBS documentary, At Close Range. He is also a regular contributor to CBS's Sunday Morning with Charles Osgood. A noted author and public lecturer on photography to audiences around the world, Mr. Sartore has written several books that highlight his craft and his work. Among these are RARE: Portraits of America's Endangered Species, Photographing Your Family, and Nebraska: Under a Big Red Sky. 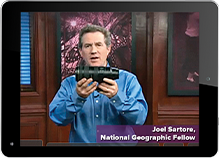 Instant, on-demand streaming of 24 half-hour photography lessons taught by Joel Sartore—a National Geographic photographer. 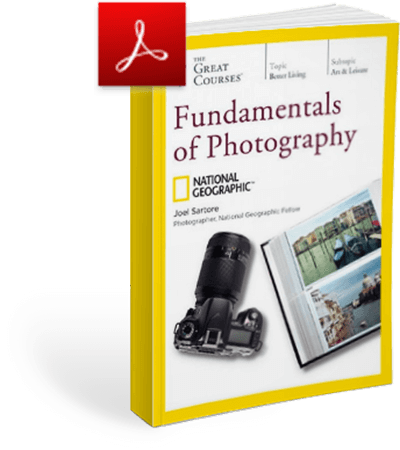 Stream Fundamentals of Photography and hundreds of other video series on The Great Courses Plus, an exciting new video learning service featuring over 7,000 videos taught by the world's greatest professors. Prior to taking this course, I was simply a very amateur picture-taker who uses a point and shoot digital camera. I had a good eye for how to frame a picture, but knew virtually nothing about the technical aspects of photography. I recently bought an advanced point/shoot camera and wanted to learn more to make the most of it. Mr. Sartore's lectures were very casual, but extremely informative. The first five or six lessons taught me all I wanted to know about the technical aspects of the camera, and the remaining lectures gave countless examples and tips on making the most of almost any situation. He used his family in many of the examples, which I suppose might turn some people off, but I thought it gave a nice humanistic touch to the series. Although I know this sounds like a paid endorsement (it's not), I honesty wouldn't have changed any of the content in the course. It fulfilled my expectations completely, and the live lectures were much more informative than simply reading a beginning photography book. I was motivated to take this course because my wife decided we needed a good camera to take better pictures of our children. After being convinced to buy a good DSLR camera, I figured that I should learn more about how to use what I had purchased. This course ended-up being much more than I expected, and I have already started watching it a second time. First, let me warn that this is not a very technical class. The professor spends significant time discussing aperture, ISO and shutter speed, but that is the limit of the technical side. So, this course did not teach me much about the actual mechanics of using my new camera—for that, I bought a guidebook written for my specific camera. Instead, the professor spends the course trying to teach the student how to "see." He spends considerable time showing how a professional photographer approaches a shoot, analyzes the situation and makes adjustments to get a great picture. I particularly benefited from the segments where he actually went into the field and worked the situation to create the image. The best of these field segments was the one where he took two of his children to a junky construction site and demonstrated how to use different methods to eliminate the junk and create great pictures. His point was that even the most challenging situations can still be turned into great pictures. I also enjoyed how honest he was with real world situations—showing everything from his own messy house to his own cranky children. As a parent who wants to take better pictures of my own children, I really appreciate the professor's willingness to show his own challenging family. This course is one of the best Great Courses I have taken so far. I tried other avenues of learning after purchasing my DSLR camera including books and, of course, the brand online tutorials. I just found some of the terms and so much info confusing. The Great Courses Fundamentals of Photography has been a great help. I get the info in bites I can both understand and retain. I can pause, while I take notes, redo a lecture... The Professor makes it so clear. The assignments have gotten me to dig for answers, allowing me to become familiar with my camera / lenses. The reason to buy a DSLR camera in the first place was to take more control of how I obtained the photograph and this course is making that possible.